A Welsh barrister has warned that lawyers could go on strike against the UK government's latest plan to cut the legal aid bill in England and Wales. Andrew Taylor says introducing competitive tendering for legal work could close smaller firms and hit poorer people's access to justice. The Westminster coalition is trying to cut the £2bn it spends on legal aid. It says some cases cost up to £15m and it is worried about maintaining public confidence in the system. Up to £350m is to be saved by removing legal aid for civil cases including employment, clinical negligence, family problems and divorce proceedings. 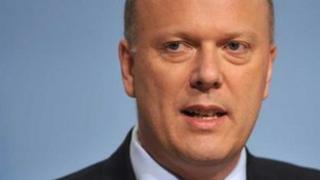 In April Justice Secretary Chris Grayling is due to start consulting on introducing competitive tendering to cut the costs of legal aid for criminal cases. It would mean law firms would bid for work to defend people facing criminal charges. Mr Taylor, who is based at chambers in Cardiff and has been practising criminal law for 18 years, told BBC Wales' Sunday Politics that big firms with less experienced lawyers will take a slice of the legal aid budget. "They're not lawyers, they don't have experience," he said. "The provision of legal service for ordinary people in Wales is going to diminish and this government is going to abolish a very good system and a first class criminal justice system that we've taken hundreds of years to be able to improve and refine and overnight they could cut away that and what we'd be left with is a legal armageddon. He added: "If this coalition government don't start listening to lawyers, to judges and to people in the system who are at the coalface, who can see this system coming in and going dramatically wrong, there is every chance that we will take direct action. "If we do go on strike, we won't be going on strike for a pay rise, that's out of the question. "We've had a pay cut in the past 10 years - we will be going on strike and taking industrial action to safeguard the rights of the individual." In a statement, the Ministry of Justice said: "We are still spending £1bn on criminal legal aid every year and when you look at some of the costs involved - with certain cases costing between £10m and £15m each - they seem very high. "While we have every reason to be proud of our legal aid system we are concerned about public confidence in the levels of money being spent and can no longer avoid taking a careful look at the entire system." The crossbench peer and former judge, Lord Elystan Morgan has raised his own concerns about legal aid reforms in the House of Lords. He said the calls for cuts were ironic. "Legal aid was set up in 1948 - we had fought a deadly and ruinous war. "There was no money in the Treasury. We were sending our chief economist, John Maynard Keynes, to America to broker a loan. The Americans, in a very very tough mood, gave us a loan that we only paid off seven years ago on very very harsh terms. "That government of 1948 could have said we can't afford it but they didn't say so. They set up a system which guaranteed justice for all those who could not have afforded it otherwise".